A Grand Chelem or Grand Slam in F1 is acheived when a driver scores pole position in qualifying, clocks the fastest lap in the race and winning the Grand Prix by leading every lap of the race. Only, 24 drivers have scored a Grand Chelem in F1 and 61 Grand Chelems have been scored to date. Argentine Juan Manuel Fangio took the first ever Grand Chelem in a F1 World Championship Grand Prix at the 1950 Monaco Grand Prix in his second race. British driver Jim Clark has got the most Grand Chelems, with a record number eight in a span of three years. The most recent was at the 2017 British Grand Prix, where Lewis Hamilton achieved the feat. Which is most recent Grand Chelem in F1? 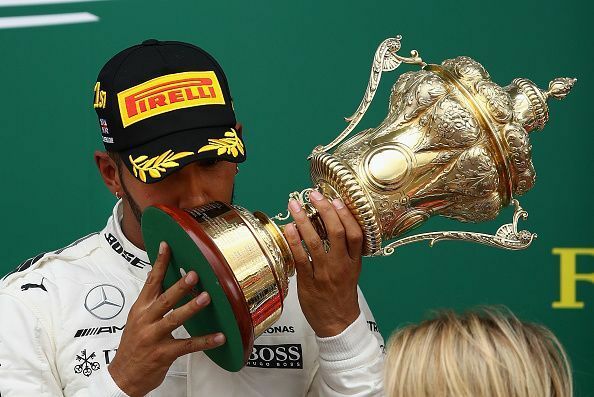 Five-time World Champion Lewis Hamilton scored a Grand Slam in the 2017 British Grand Prix at Silverstone.